Natalino must be one of the very few RTW brands I have been very excited about in the recent months or even years! Disclaimer: this is a sponsored post. All opinions and ideas are mine. Natalino did not have any influence over the content. I saw them for the first time on Instagram (high five to Insta for their ‘tailored’ ads!) 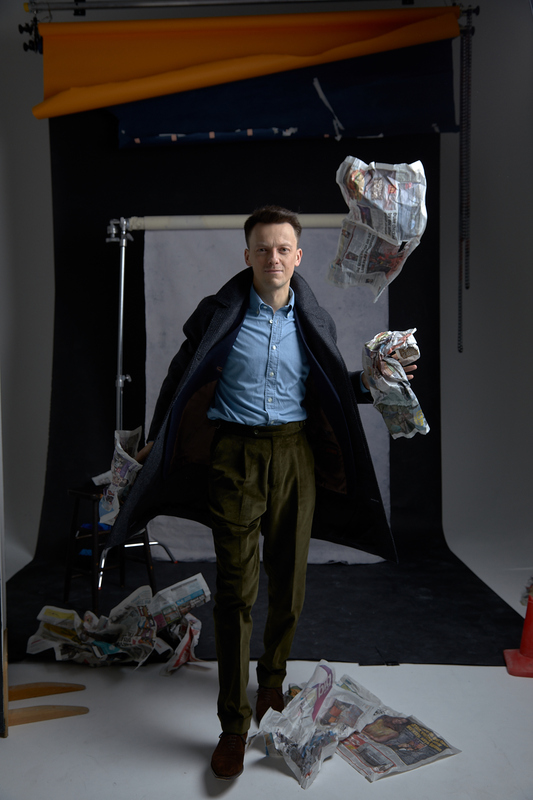 and really liked both, the campaign they were running but mostly the clothes. Natalino is a London-based online menswear clothing brand offering casual and smart casual clothing in classic designs. 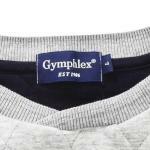 They are produced across Portugal, Japan and UK (knitwear). What’s best about them is that they sourced the affordable manufacturing and produce classically designed items we have all been looking for. I thought the same to myself: why wouldn’t H&M or Zara take their expertise and abilities and produce nice, classic menswear items that won’t cost a fortune? 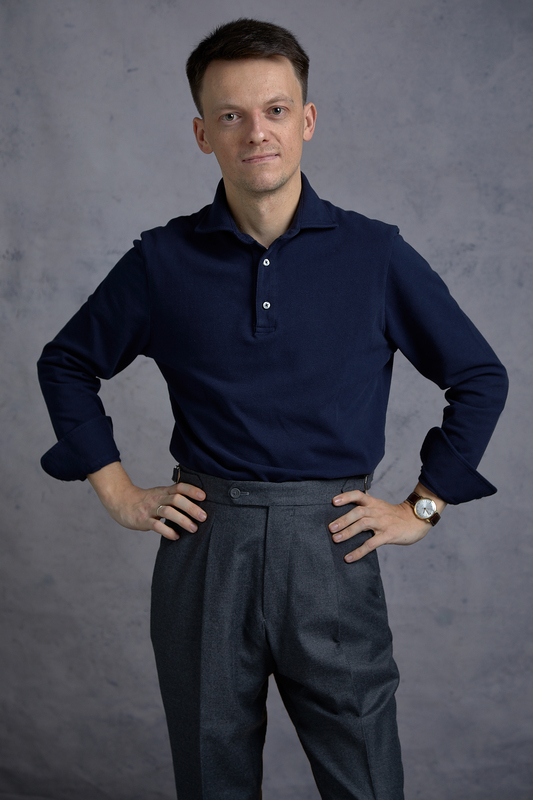 Here comes Natalino with their polo shirts (£55), smart trousers in grey flannel, corduroy or twill cotton (£105) and raglan overcoat (£315) offering. In order to show you the brands offering I decided to do a photoshoot including almost entirely Natalino’s clothing range. Please note they only started recently however you can already assemble almost entire looks! Navy pique polo shirt with semi-spread collar and buttoned cuff sleeves by Natalino. Classic polo shirt is being offered in five colours (navy, white, brown, green and grey). 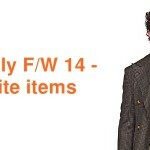 It features semi-spread collar, short placket with three buttons, shirt-like sleeves with cuffs and nice thick buttons. It is made of very soft cotton pique. For rtw products the size S is almost perfect for me. I would definitely wear it as is. However it would suit you even better if you were not as slim as me. Sleeve length is perfect. The shirt itself is rather short for my taste however its not a problem with high waisted trousers. For all others you can still wear it untucked for even more casual look. 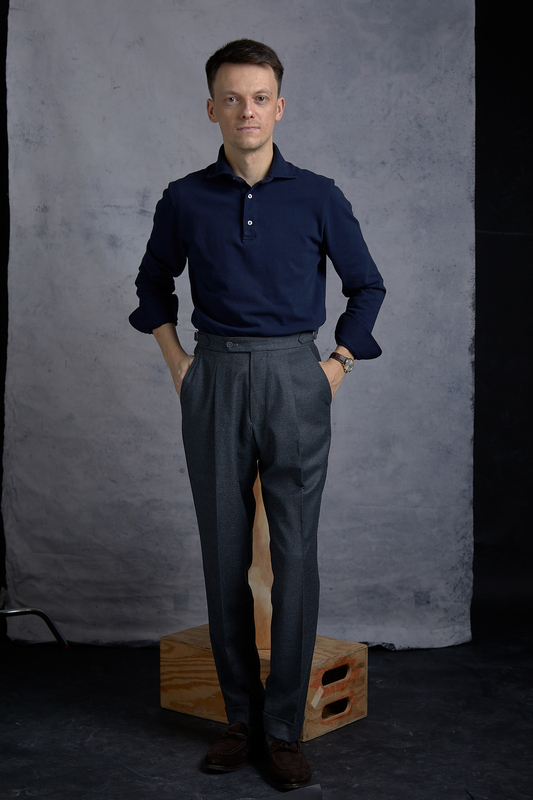 Natalino grey flannel trousers worn here with navy pique polo. Trousers in this lightweight flannel are really amazing. For £105 its an extremely good value. Please note this flannel is more like VBC rather than heavy Fox Brothers. Trousers are very classic in style. The leg is rather wide, at least compared to the other rtw trousers you can find. They are on par with my MTM or bespoke trousers. All the dims are in the size guide on the website. 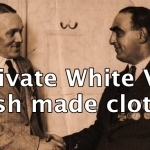 It’s worth comparing with the garments you have at home. You can compare it with my Stoffa trousers I made recently here. The front rise is high measuring 28cm in Small size. I need the Short version which measures 76cm in inseam. They have comfortable zip fly and one button closure. There are neat side adjusters on the sides as well as back pocket. 5cm cuffs in the bottom. Fabric drapes very nicely. Cloth is not too heavy and is very soft, pleasant to touch on bare skin. 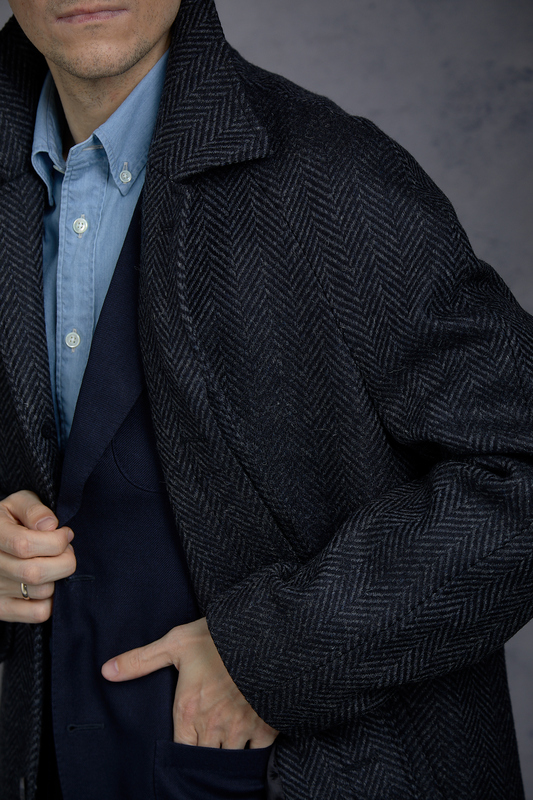 Side adjusters and single pleat on the front. 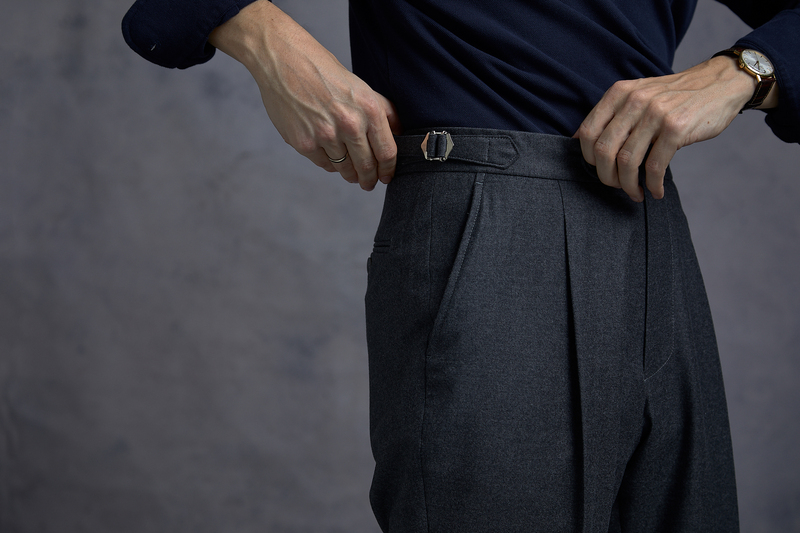 Slanted pockets again make the trousers look very classic. 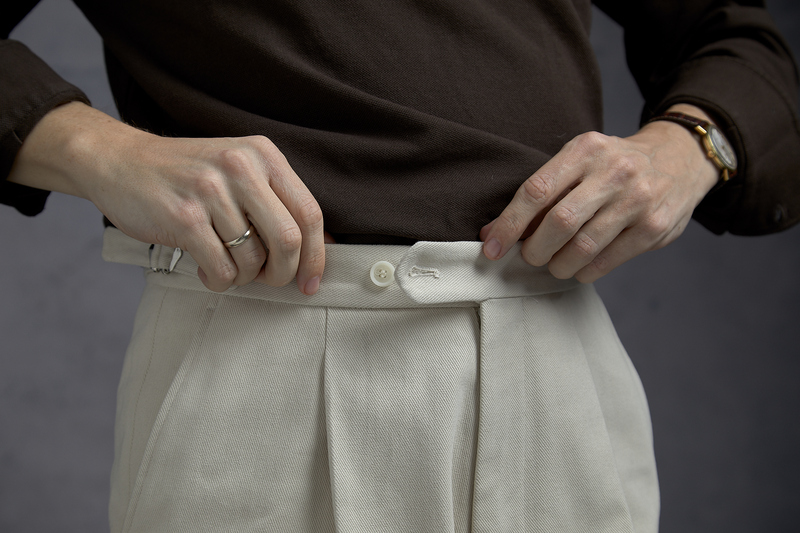 Side adjusters are an effective way of adjusting your waist during the day. Especially when you have to get up and sit over and over again. 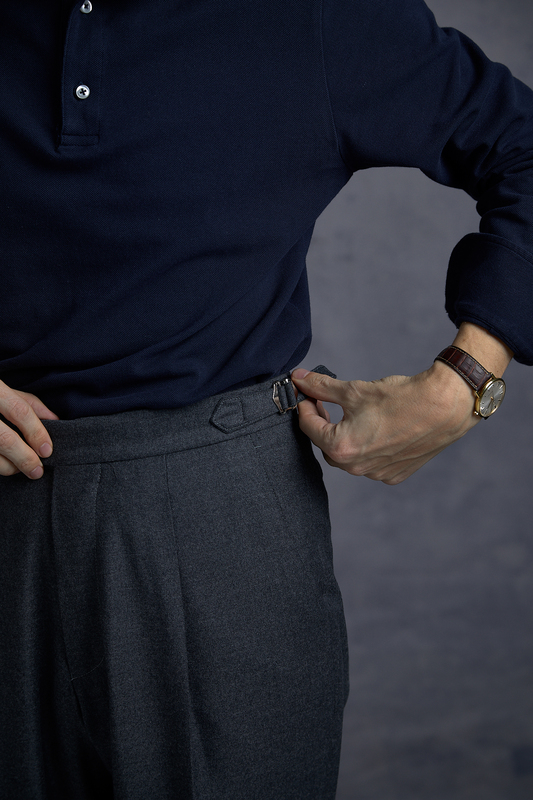 Single pleats and zip fly surely help to keep the cost down and make it a perfect must-own pair of classic trousers. They don’t cost a fortune, finally! 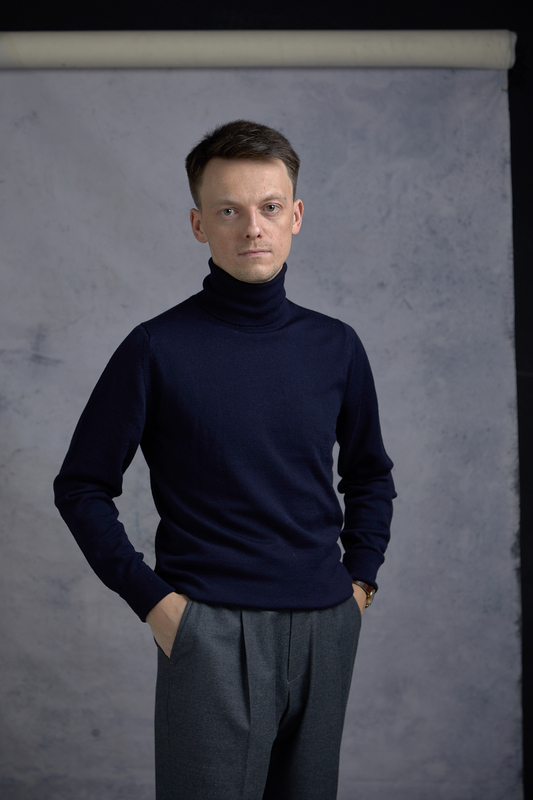 As a part of this shoot I also tried their navy merino wool turtleneck. I have a similar one from Uniqlo but it is not as nice. Natalino made it of slightly thicker and warmer merino wool. It makes it softer and more appropriate for winter. Uniqlo one needs a proper tshirt or shirt underneath. 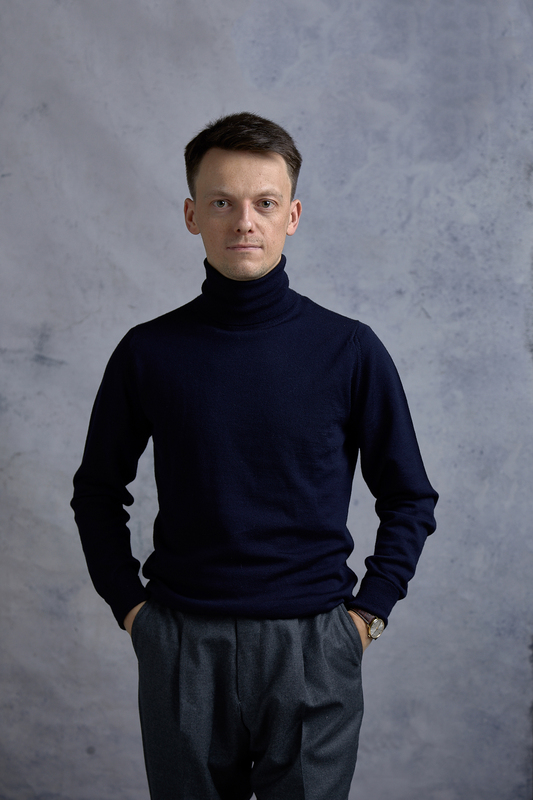 Natalino navy merino wool turtleneck. 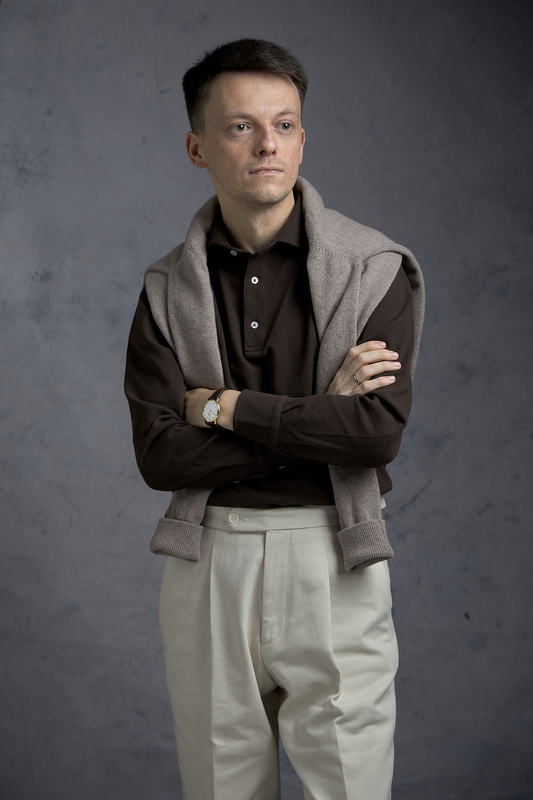 Cream twill trousers, brown polo shirt and wool jumper. 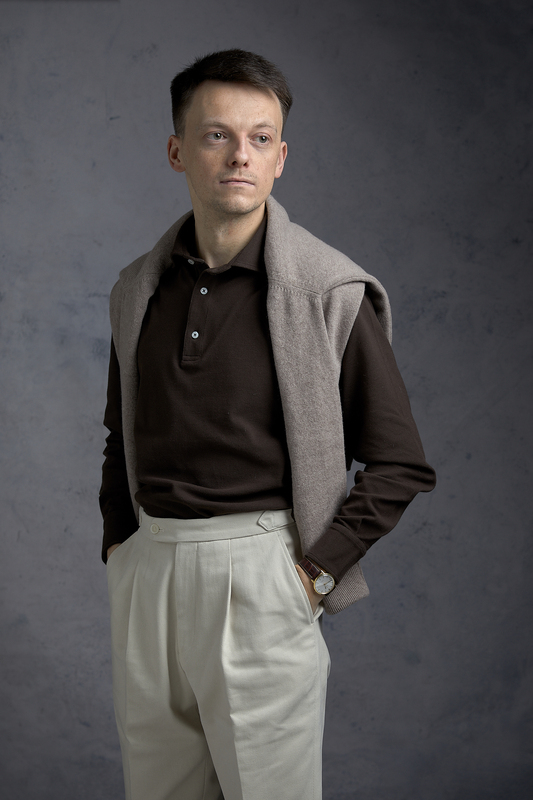 The second look I wanted to show you features a polo shirt again, this time in vivid brown cotton. 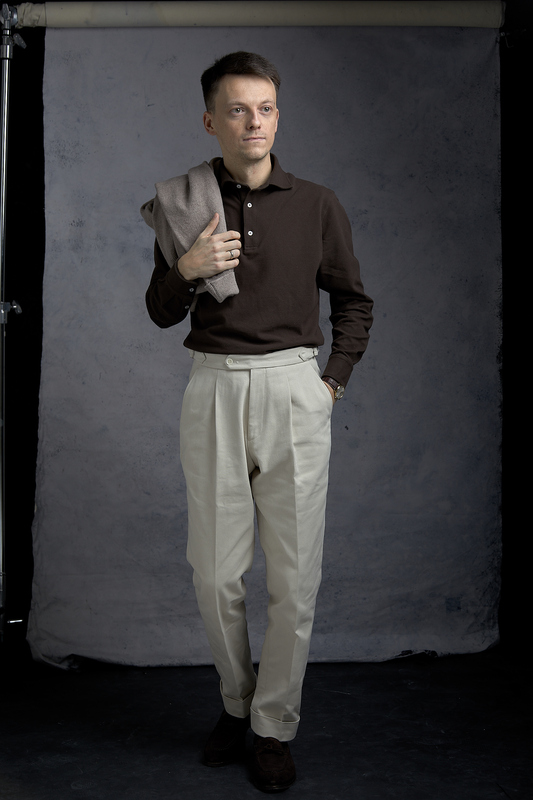 Trousers are one of 4 options available, here in heavy cream cotton twill fabric. On top of this I am wearing a wool jumper made in Scotland. Everything again is RTW, not adjusted in any way. In my opinion for ready-to-wear garments it is really great. I can’t believe I actually found a brand that I can wear of the shelf. 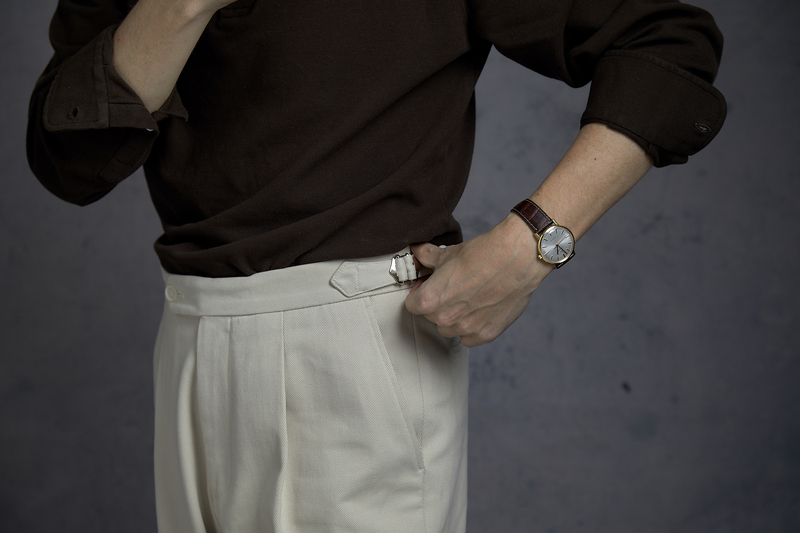 Single pleats, slanted pockets and side adjusters on this cream twill trousers. Polo is exactly the same as the navy one, only in different colour. 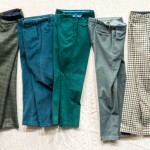 Trousers are in the same cut and style as the flannels but in heavy twill fabric. To be honest I am not the biggest fan of this cloth. It has something to do with the way it drapes because they don’t look as good as the grey flannel I showed above. It seems they are very big in waist and thighs. There is some excess of fabric. Partly it’s because I would prefer to have them cut a little shorter. It would help with the drape but still there is a little to much in thighs for my taste. All the other style details are the same. Fabric is nice and heavy, they are perfect for winter weather to be worn with brown suede shoes and wool jumpers. 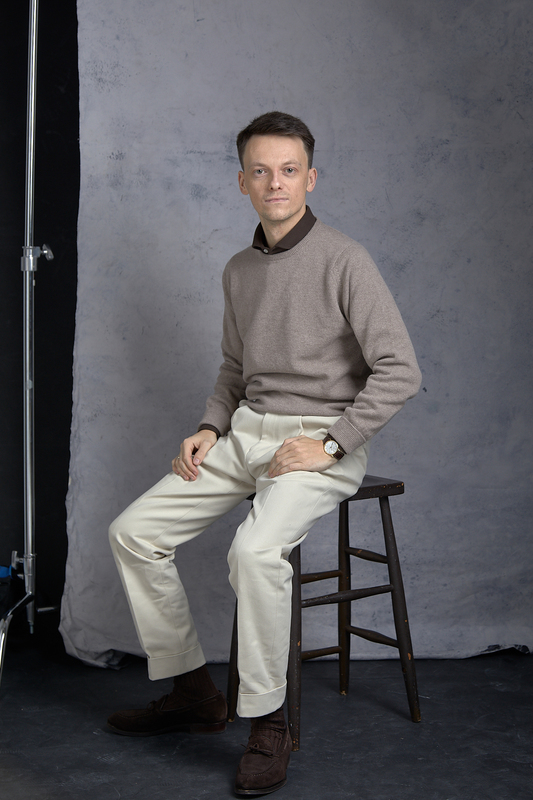 Brown polo shirt and wool jumper. 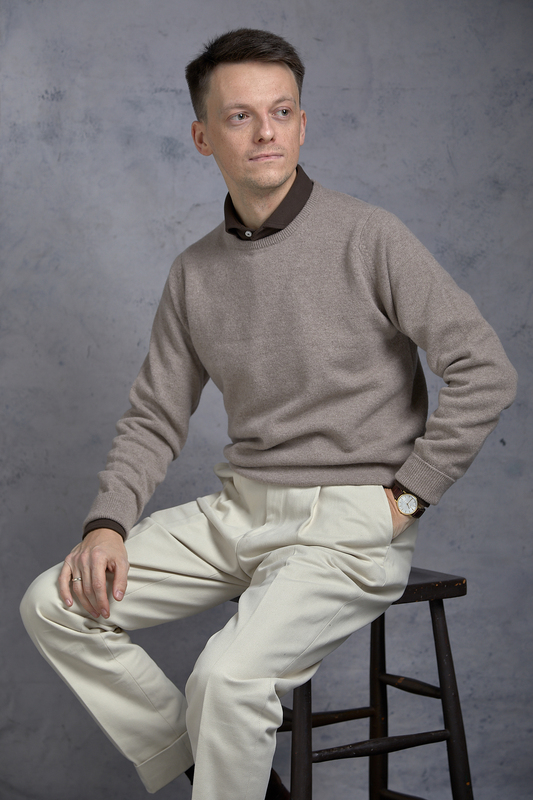 Slightly wide trousers in heavy cream twill fabric. Biscuit coloured jumper is made in Scotland from wool. I have worn it few times and its very warm. I like that the sleeve cuffs are a little long so that you can roll them a little for casual look. Length is very good and it can be easily worn with high waisted trousers. To finish off this look I added my new winter parka from Uniqlo. It is an amazing outerwear coat for the price. I can’t believe it did cost me only £109! It’s actually called Ultra Warm Down Hooded Coat and is on offer now for £99. The outer fabric is water repellent. On the inside you have a very warm quality down placed behind lining coated with aluminium. Padding is of the same HEATTECH technology as their famous lightweight down jackets. For functionality there are two side pockets and one zipped on the chest. There is also an extra chest pocket on the inside. Waist is adjustable to make it look a bit more slim. Boa fleece hood lining, down inside with HEATTECH lining. 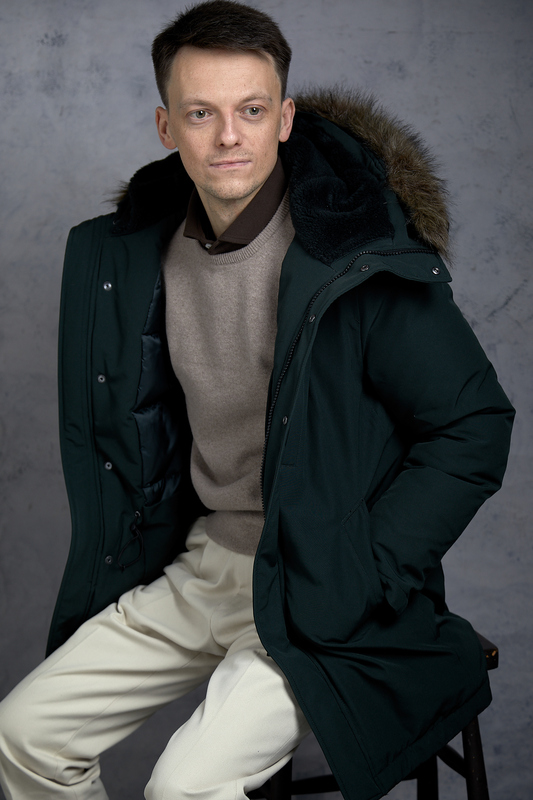 I was in the market for a winter parka and was considering Woolrich too – which was amazing! However it costs 7x more and I just couldn’t justify the cost. If money is no object I would choose Woolrich, however over £600 difference in price is incredible and I preferred to save it instead. See few photos below. Warm down hooded parka by Uniqlo. 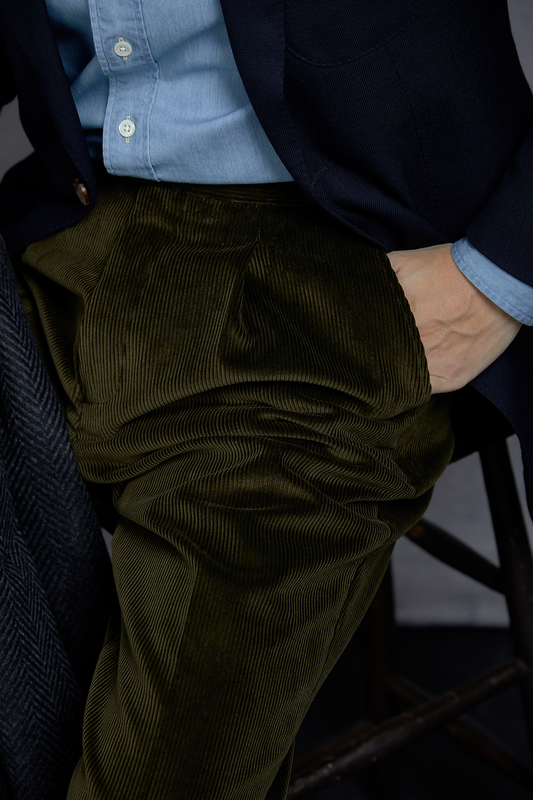 Natalino olive green corduroy trousers and blue denim bd shirt. 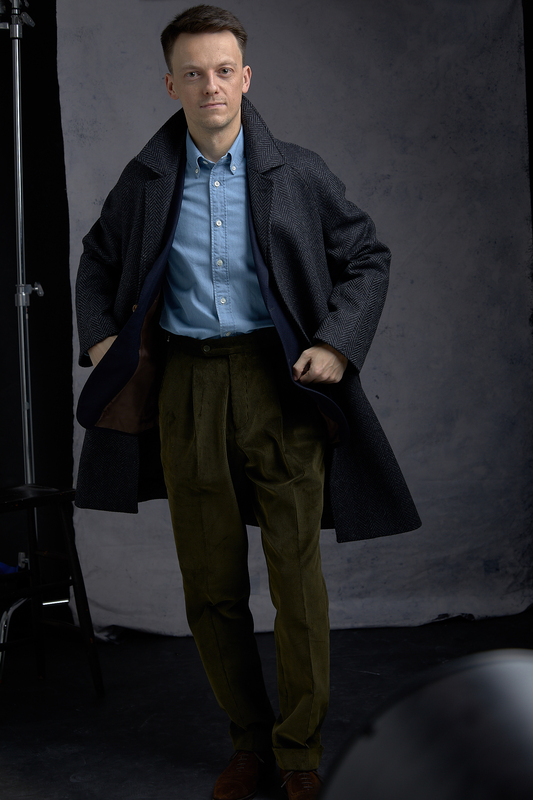 Last but not least I want to show you a pair of olive green corduroy trousers paired with a denim button down shirt. 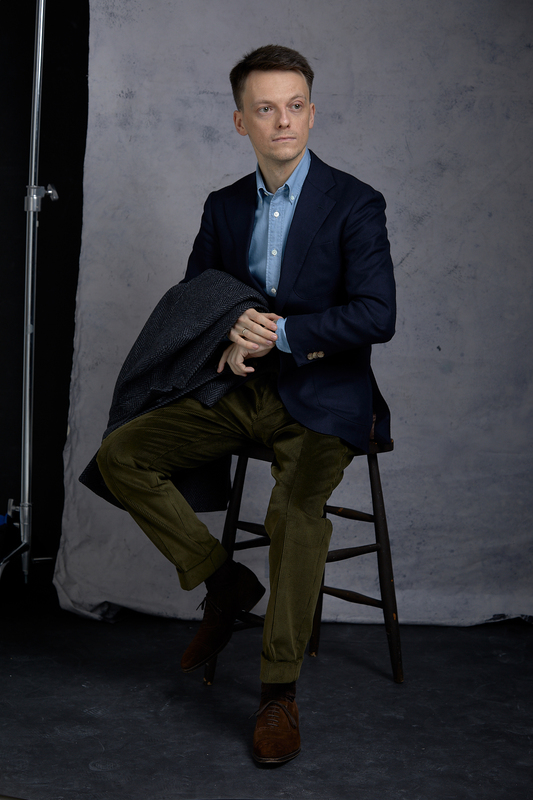 While the shirt is probably something you can already find in high street stores like H&M or Uniqlo those olive green corduroy trousers are not as common. The likes of Cordings would of course have them available all year in all colours but I bet many guys just found the store too conservative, old school almost. 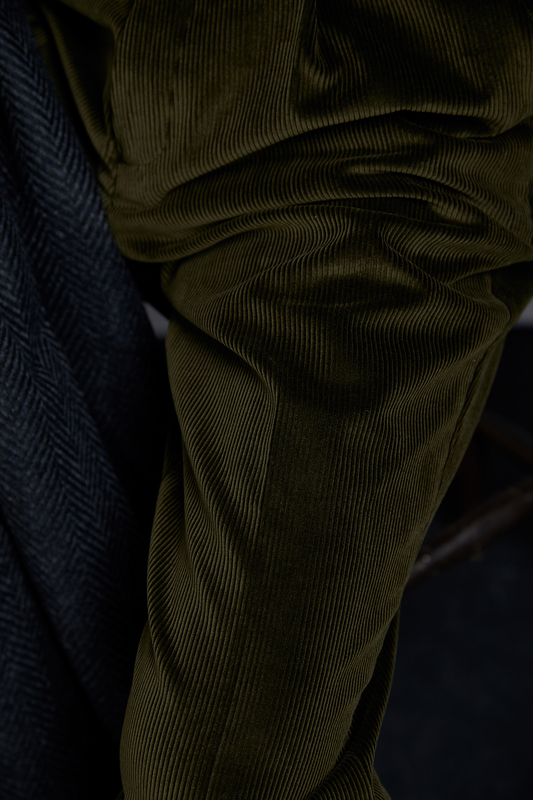 Natalino’s olive green corduroy trousers are cut from the same pattern and made in same style as previous pairs. The fabric is of proper weight, its soft and comfortable to wear. It comes from the English maker Brisbane Moss, some of the best cotton fabrics on offer. The £105 price is amazing considering the cost of proper English fabric. Very nice and vivid olive green colour works well with blue shirt. 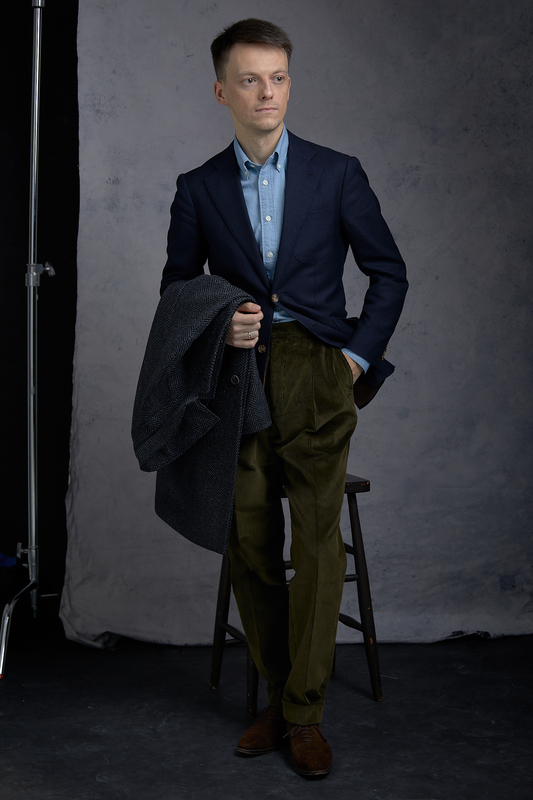 Corduroy trousers with dark brown oxford shoes and classic navy sport coat. Denim is a natural choice for corduroy trousers in my opinion. Natalino offers two different collars: button-down and extreme cutaway. While I am no fan of extreme cutaways like this, button down is a classic and works well for everyone. The collar itself is simple and feels like other high street stores. I would have preferred if it was slightly more classically designed. So higher collar band and longer collar points. I think it makes perfect sense to take it up a notch and actually make it look like MTM or bespoke collar. 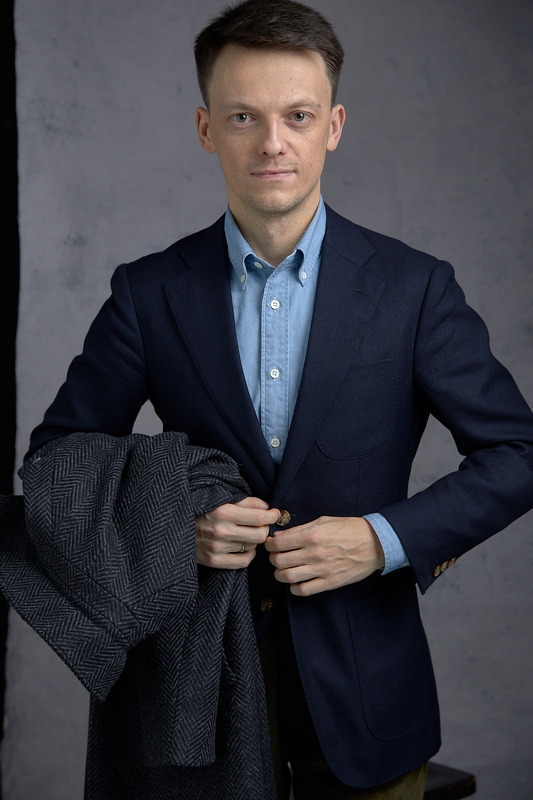 If the shirt sits under the jacket or jumper all day then you can only tell by the collar shape. 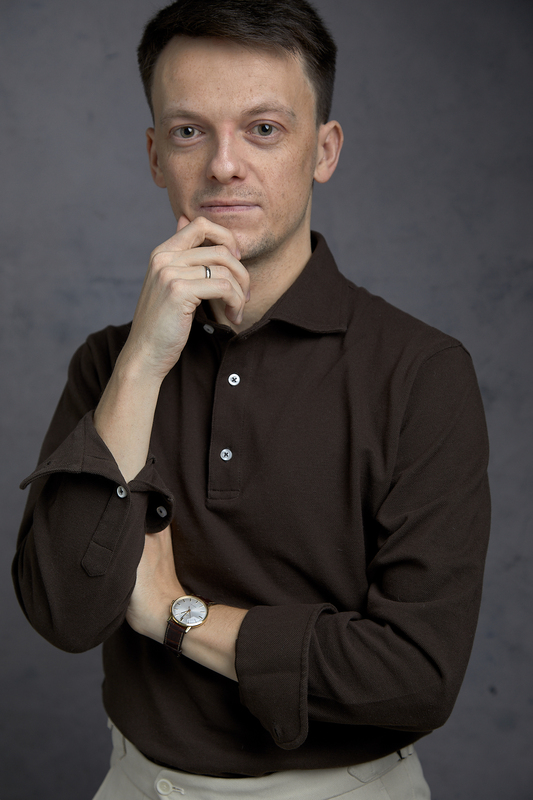 If for next iteration of the shirt Natalino adjusts the collar I am buying one for myself. Button down denim shirt by Natalino. I would really love if the collar was a little higher but as you can see in the photo above it does look pretty good with the jacket anyway. Sleeves are perfect length for me and body is slim but not tight for RTW. I can wear this shirt of the shelf and for the price of £55 it presents amazing value. 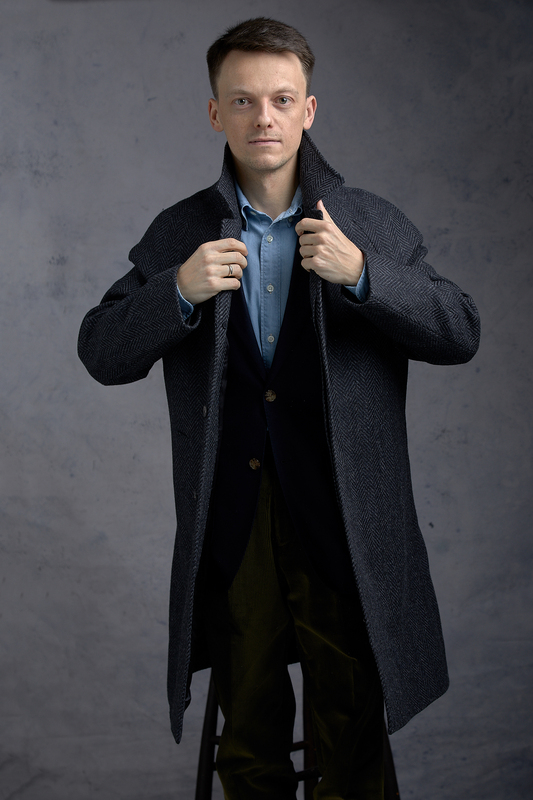 The last item I am wearing is this Raglan Overcoat. 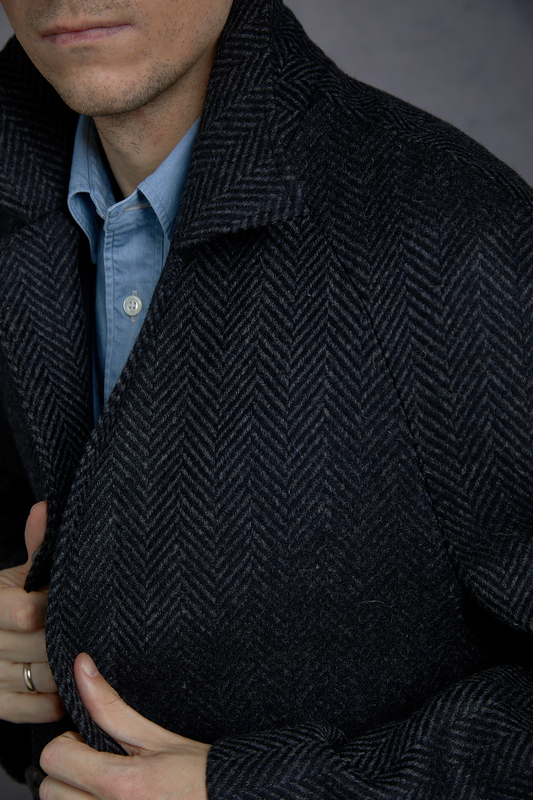 It is made of herringbone heavy wool in grey. The cut is very loose and casual. It is very easy to wear few layers of other clothing underneath and still be able to put it on without problems. 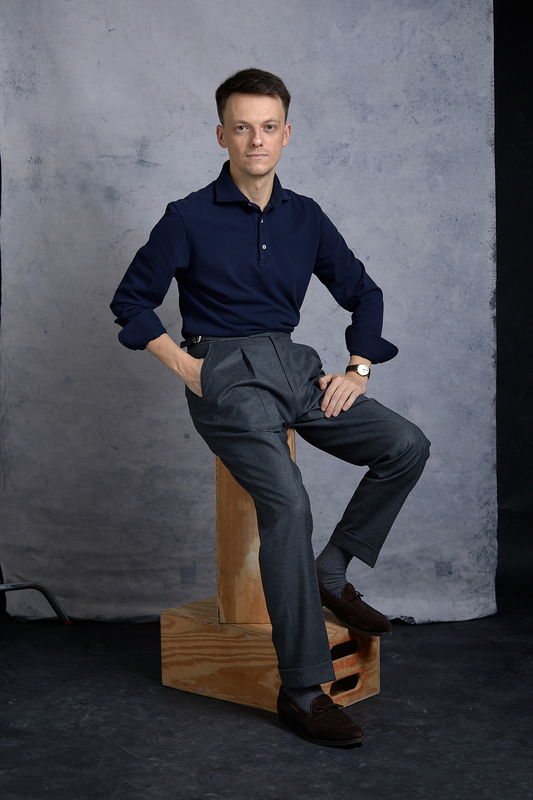 The length is very classic – to the knee and there are hidden buttons on the front. 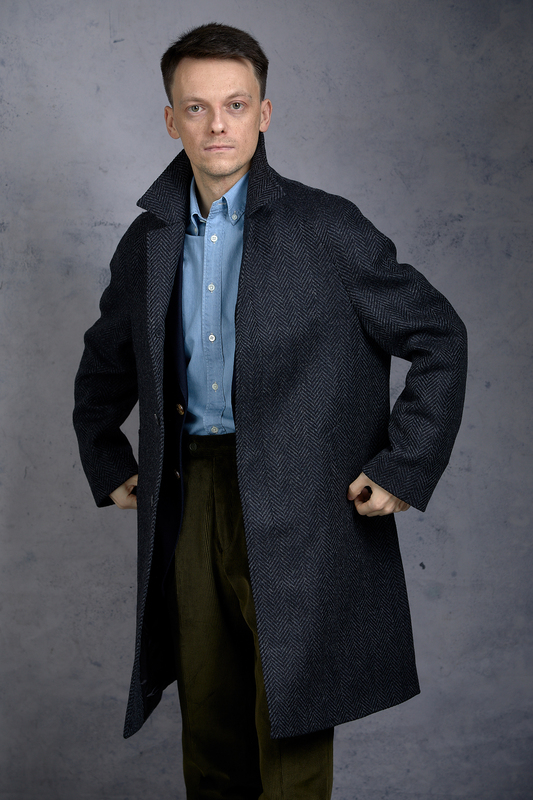 However I feel like this is the kind of coat that I would never button up. It feels so much better and comfortable just to throw it on and do not care about the rest. I love the fabric. It really is a great choice. 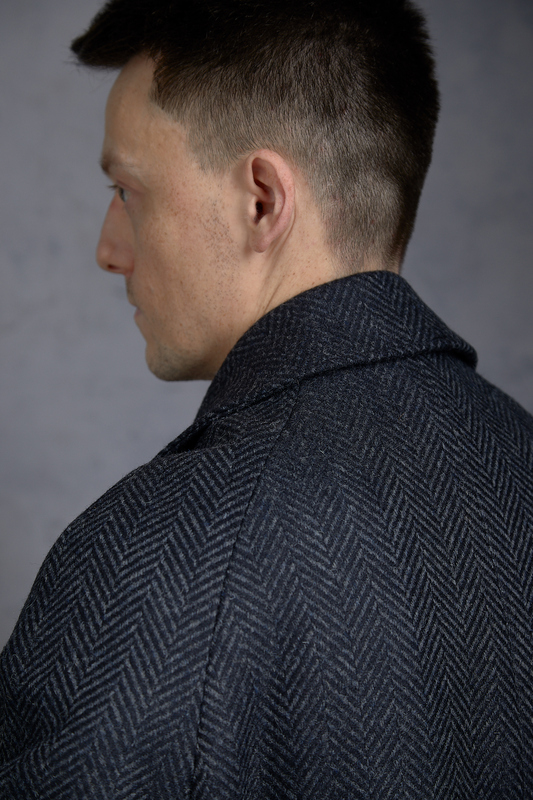 Heavy enough to drape really well with an amazing texture of the big herringbone weave. Well done Natalino. 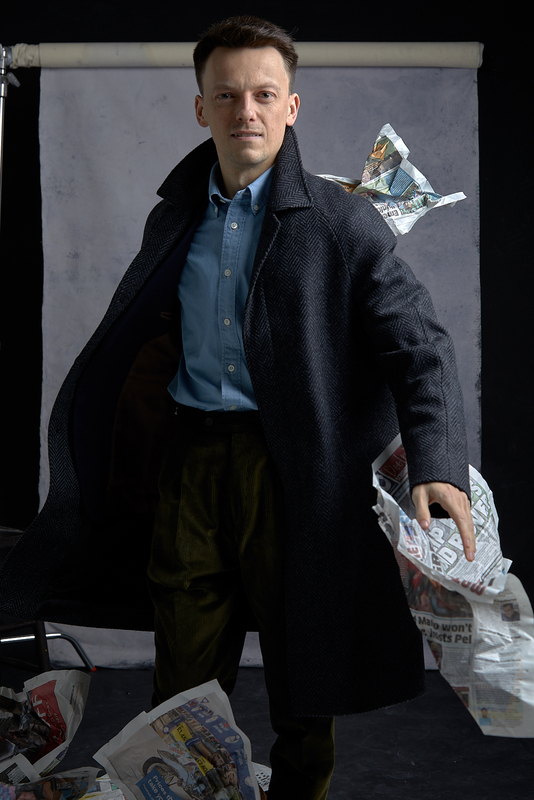 Price of £315 is outstanding and I am so happy that this is one of the very few RTW brands that offer this “trendy” overcoat nowadays. It used to be only available for those with bespoke experience and money. I think that’s all. Hope you enjoyed those Natalino looks and that you find this brand interesting. I know they will be adding linen trousers to their summer offering so please watch this space. It is one of those new brands run by enthusiasts that offer great classic garments in very affordable prices, like Prologue or Anthology, both of which I will be reviewing soon. Also, check all the other photos below! Thanks for reading.